Hone is a social justice advocate committed to improving the livelihood of disadvantaged members of society. He believes that creating a socially-inclusive society requires nurturing and promoting honest dialogue and understanding among different social groups. Hone is dedicated to influencing policy at both national and international levels through empirical research and affecting change at local levels through community building and resource mobilization. 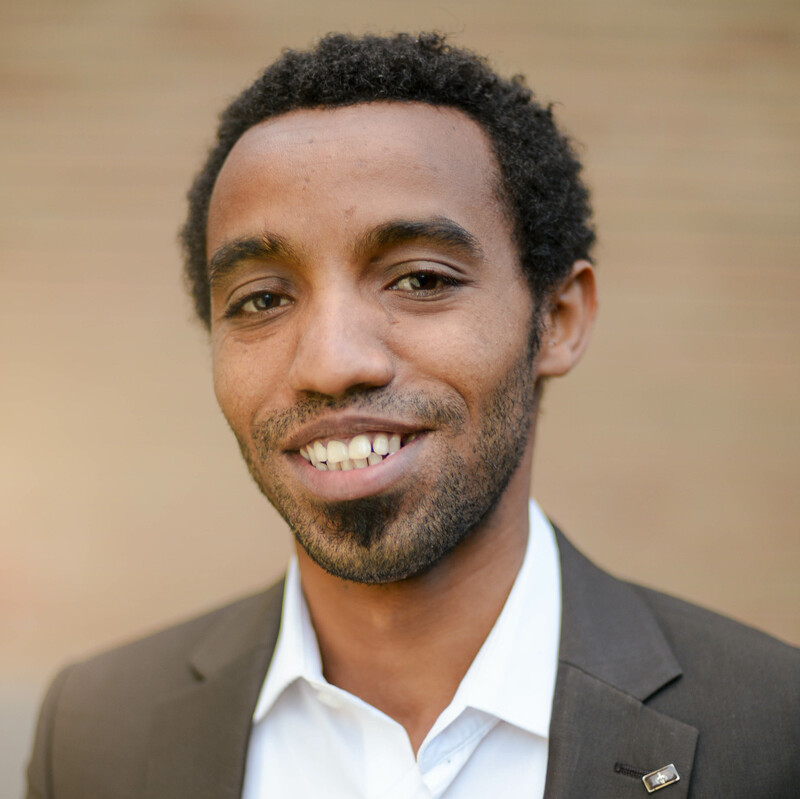 Hone Mandefro is a lecturer in Development Studies and Social Work and the Director of Community Services at the University of Gondar. He is also the Chairperson of The Kossaye Development Program Taskforce and a member of the Board of Directors of the Yenege Tesfa Integrated Development Humanitarian Organization. As a development consultant, Hone trains non-governmental organization workers in project management, and conducts project impact evaluations. He is a frequent commentator and analyst of Ethiopian politics for Addis Standard Magazine. A fan of policy-relevant applied science, Hone initiated and led a number of community dialogues at the University of Gondar. He is the founding director of the Policy Issues in Ethiopia’s Development Trajectories (PROSPECT) Seminar series at the University of Gondar, where well-known Ethiopian academics present their policy proposals to government policy makers. In the past, Hone has served as professional adviser to the Social Affairs Standing Committee of the National Parliament of Ethiopia, where he assisted parliamentarians with performance evaluation of ministries and the drafting of new proclamations. Hone was also the head of the Department of Sociology at the University of Gondar, where he led the process of developing curricula for the Bachelor of Social Work and Masters of Arts in Sociology programs. Hone holds a Master’s of Arts in Development Studies from the International Institute of Social Studies in The Hague, and a Masters in Social Work from Addis Ababa University. He earned his Bachelor of Arts degree in Sociology and Social Work from Jimma University in Ethiopia. Hone also participated in a three months public leadership training of the Young African Leadership Initiative (YALI) Regional Leadership Center East Africa. He was a recipient of The Netherlands Fellowship program to attend a postgraduate degree program in The Netherlands. Hone was awarded “ the Best Cumulative GPA of the School of Social Work” from Addis Ababa University in 2012, and the “Best Senior Essay of the Department of Sociology and Social Work” as well as the Medal Award for “the Best Cumulative GPA of the Faculty of Social Sciences and Humanities” in 2008 from Jimma University. Hone is a member of a team that has been awarded a research grant in 2016 from the European Union Erasmus + program to research social inclusion strategies for informal settlements in Ethiopian cities.